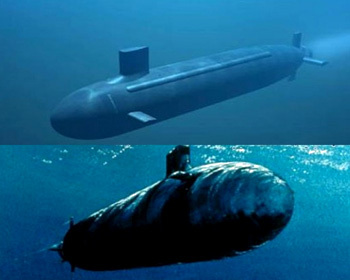 What comes into your mind when someone speaks about submarines?. Yes, you may think of subs or sandwiches or start singing..."We all live in a yellow submarine, yellow submarine, yellow submarine." But, how many of you out there know that April 11th is a National Submarine Day? If you all know, then it's good to remember that living on a US Naval Submarine is an unsafe place to be. Believe it or not, the first recorded submersible (a small submersible boat or other craft) was designed and built by Cornelius Drebbel in the year 1620 for James I of England, why anybody would want to force themselves beneath the surface of a 17th century Thames is beyond us. On April 11, 1900, the first commissioned submarine, the USS Holland, was acquired by the United States Government. While; The Holland was not the first submarine, named for her Irish-American inventor, John Philip Holland. However, the honor goes to the 1862 Alligator. Which was the first submarine ordered and built by the Navy, though it was never commissioned. The boat was originally laid down as Holland VI, and launched on May 17, 1897. Holland VI eventually proved her strength and worthiness as a warship and was eventually purchased by the U.S. government for the sum of $150,000 on April 11, 1900. It was considered to be the first truly successful craft of her type. It was decommissioned on July 17, 1905. A submarine is a watercraft competent of independent operation undersea. It differs from a submersible, which has a more restricted underwater ability. The term submarine most commonly refers to a large crewed independent vessel. However; if we see historically or colloquially, a submarine can also refer to medium-sized or smaller vessels, which is remotely operated vehicles or robots.